Our Party Rooms hold up to 21 children. Larger Parties have the option of booking 2 adjoining rooms. 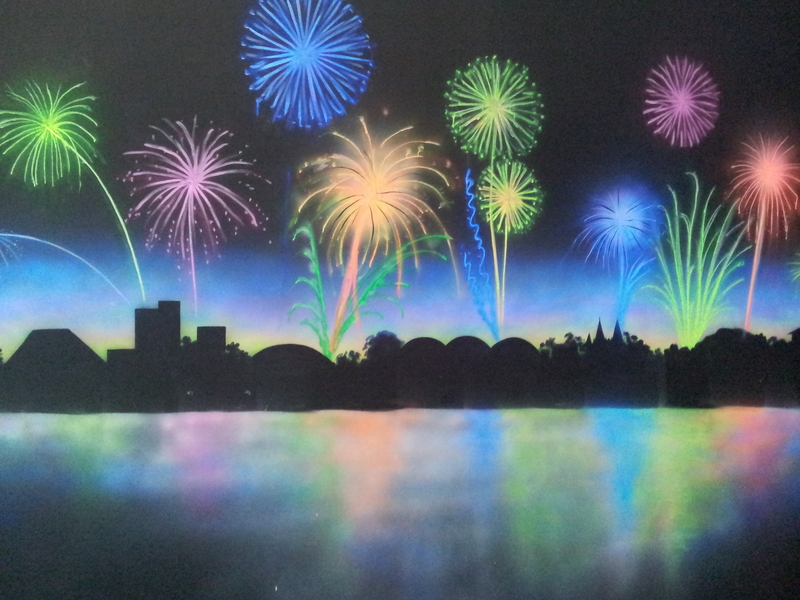 The Glow Party Room is fitted with Black Lights that react to the colourful Glowing Celebration/Fireworks themed murals. A truly spectacular Party Room. 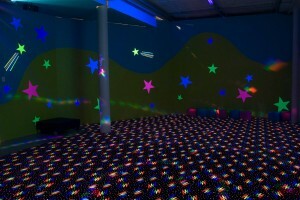 This room is available for Extreme, Tag, Ultimate Tag & Wizbang Party. The Disco is now available to be used as the Party Room for Disco, Extreme & the new Wizbang Party. 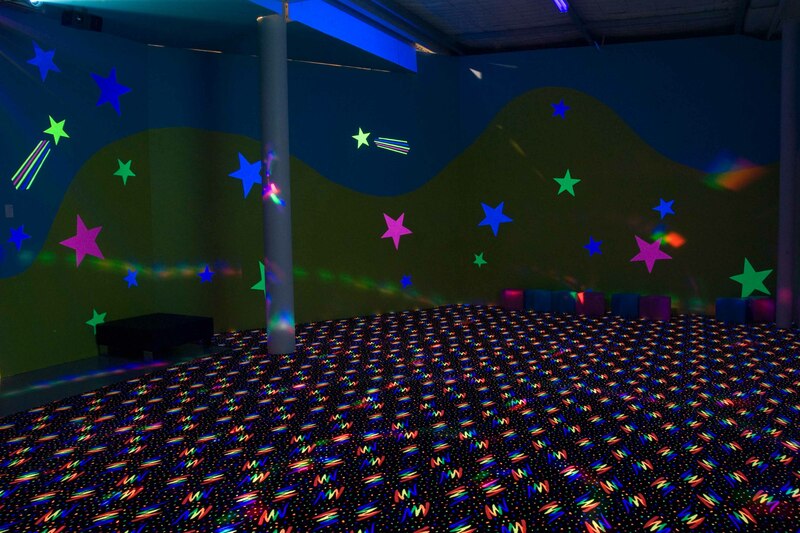 The Disco is fitted with Black Lights that react to the glow carpet & stars on the walls. Along with all the other sound & visual features of the Disco, this makes a truly a spectacular Party Room. The Reef Party Room is themed with Stunning Tropical Fish murals. 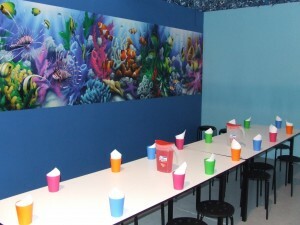 This room is available for Putt N Tag, Tag & Ultimate Tag, Parties. 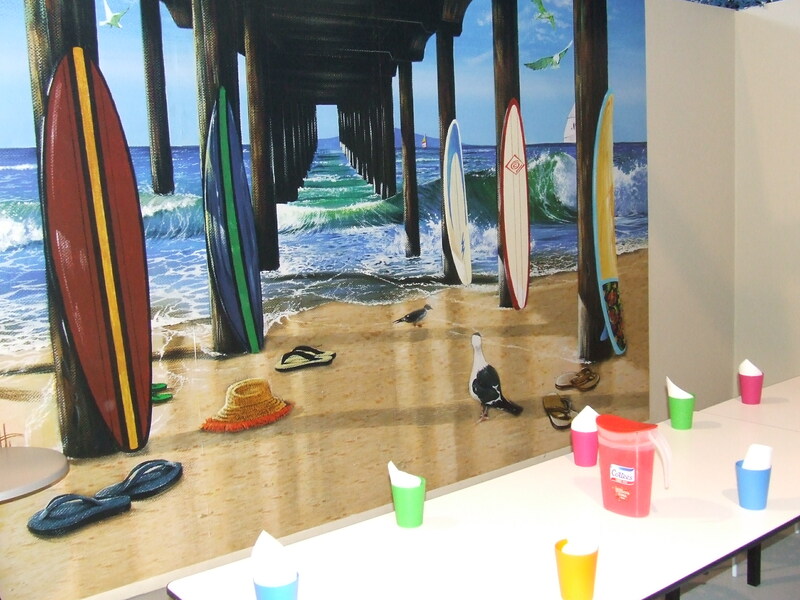 The Beach Party Room is themed with 2 stunning murals, one showing waves crashing under a Jetty, and the other one overlooking a sunny beach with surfboards & sailing boats. 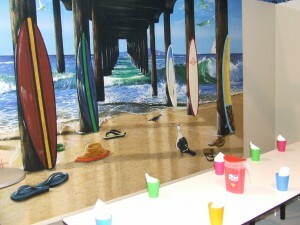 This Party Room is available for Putt N Tag, Tag & Ultimate Tag Parties.